Why ruin a pair of still wearable trainers to do the gardening when you can get a pair of cheap gardening boots aka wellington boots or rain boots that’s designed for gardening among many other things. 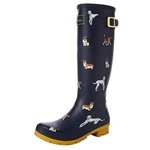 They are also much more practical as they’re usually made of rubber and waterproof, so it’s also ideal as a pair of rain boots. 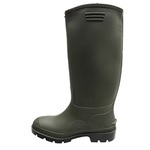 Other than for gardening, gardening boots are also used for things such as: Walking the dog, going to the stables, festivals, when it snows, commuting to work, pottering about etc. If you were getting them for fashion as well then you should expect to pay more, unless you’re happy with the standard green mucky colour. As old trainers tend to be worn out and made from leather or synthetic material, it is not durable or waterproof, so perhaps not the best gardening shoes, if you can even call them gardening shoes! If your trainers got wet, it would permanently smell so you probably wouldn’t want to wear them again anyway. 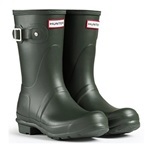 As most people would probably be choosing the best gardening boots based on practicality rather than fashion, it shouldn’t require much hesitant in choosing. 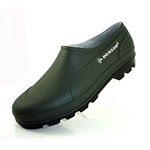 Most of the gardening footwear have similar features and do not vary that much. Either way if you indecisive, we’ll go through ways to narrow down your options below. 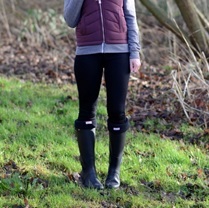 Type – Choose from either boots or shoes, this would depend on what you need to use them for. 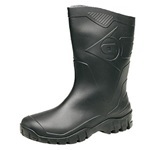 If it’s for more heavy garden work then boots would be more practical as it provides more protection. 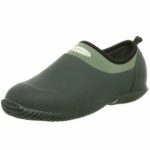 Shoes will be more suitable for light garden work and general outdoor garden chores. 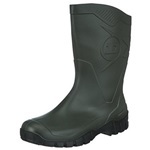 Outer material – Most of the boots will be made from rubber on the outside, as this material is both durable and waterproof. It’s also easier to clean, as dirt will just easily scrub off. Sole – Again the sole is usually made from rubber, as this material will be durable and long lasting. Closure – Slip on style makes it easy to quickly put the boots on, you also won’t need to really touch the boots as they might have gotten dirty from previous activities. Having a buckle would help to make it tighter at the top of the boots. 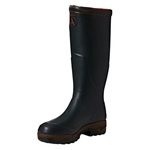 Waterproof – Your feet will remain dry as even the cheap rain boots will do a good job on keeping water out. 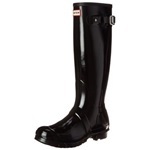 Gender – Some wellie boots especially women’s rain boots can be quite stylish as some people prefer more fashionable wellies to wear to festivals or other leisure purposes. 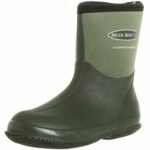 Many gardening boots shown in our table are unisex unless the gender is specified.